All pre-conference sessions take place between 1-4pm on Sunday, July 14, 2019. Want to add a pre-conference after you’ve registered? No worries…just log back in to your registration and add it! The cost for each session is $40. Perhaps you attended a HEFW Summit Start-Up Institute pre-conference in the past. Or maybe you participated in our Pre-Note workshop in 2018. 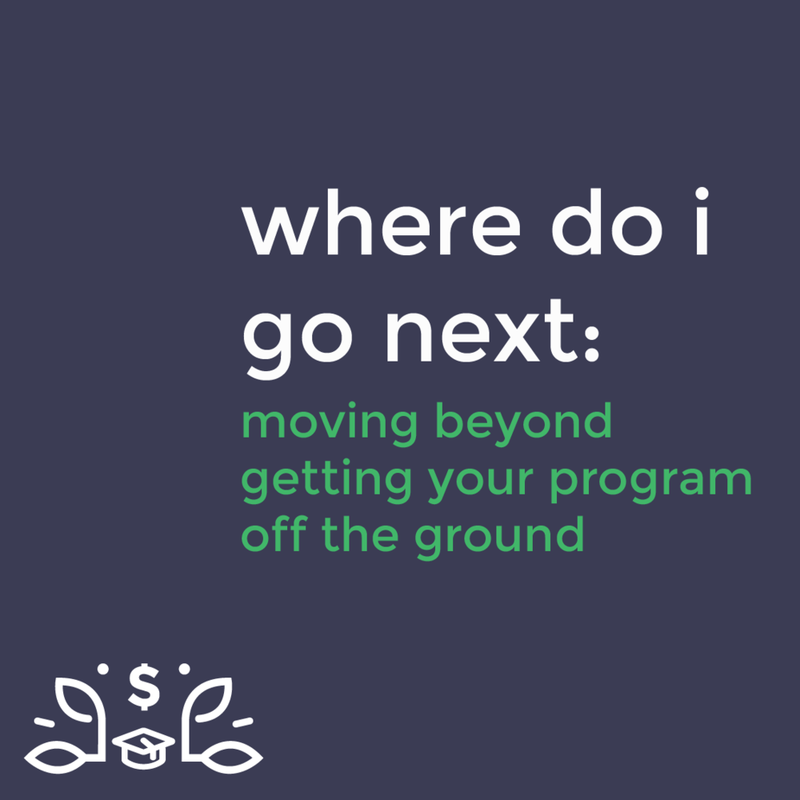 Whether you are a first-time Summit attendee or returning in search of a deeper dive into programming, this session will provide you with concrete ideas about how to move beyond just starting up. We will highlight best practices, mistakes most programs face in development, and exploring new territory like building partnerships on campus and navigating the waters of program evaluation. All too often, program practitioners do not have the time or the resources to dedicate to in-depth program documentation. We will delve into what it takes to begin to effectively document or evaluate your program and document your work in order to further the financial wellness conversation. Maybe the use of on-campus partnerships have been the center of your program’s success. Maybe you are still struggling with getting to know more colleagues across campus in order to more widely promote your program’s existence to students. One commonality among newer and more established financial education programs is that at one point or another, we all rely on our on-campus partnerships. But many campuses struggle with building a bridge between the resources available to their students both on-campus and in the larger communities where they are located. Additionally, with an increase in food and housing insecurity on college campuses, we often find that providing students with resources sometimes requires going beyond what our institutions alone can provide. Many students could use our help when it comes to applying for public assistance, taking advantage of local resources, or just finding another department on campus to help answer their questions. Come join practitioners from a variety of institutions to brainstorm around building partnerships across campus and within your local community to enhance the resources you can offer your students. We will explore existing programs with models rooted in partnerships and offer guidelines for resources to consider when reaching the holistic needs of your students. Additionally, we will help you think about how to maximize your efforts and learn from the challenges others have faced. How are you reaching and supporting students from low-income backgrounds, students of color, and first-generation students? 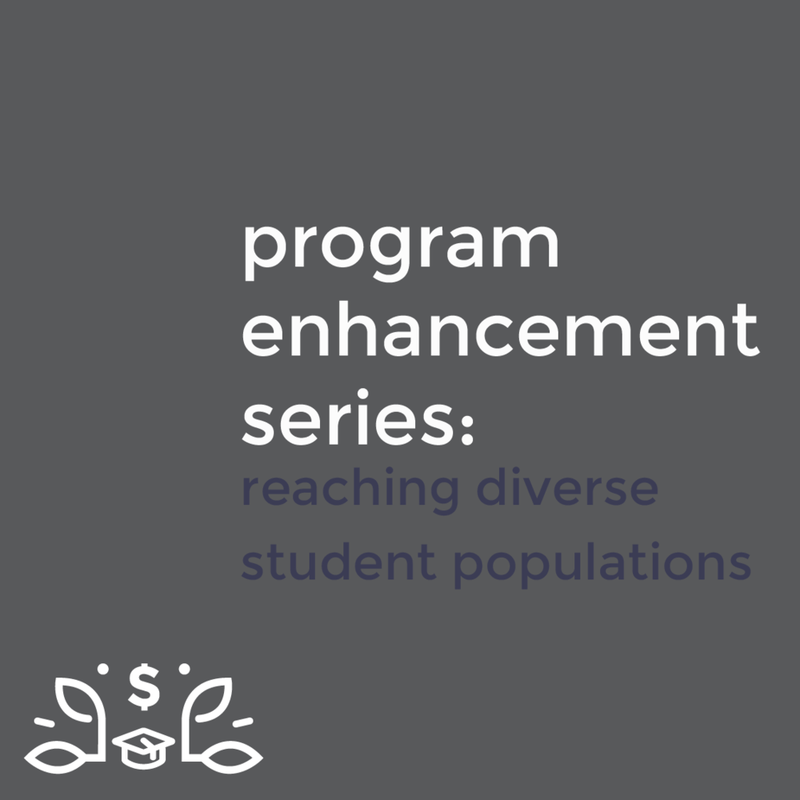 This session aims to encourage participants to reflect on the student populations on their campuses and consider how they may need to alter their approach to meet the unique needs of students from marginalized, underserved, and underrepresented populations. This session will highlight areas to consider and the rationale for considering concepts such as systemic barriers. We will offer suggestions based on theory for programmatic approaches and encourage participants to be mindful of their language when addressing diverse student populations. Participants will have the opportunity to explore their own campuses, share ideas, and focus on practical application. Participants will leave the session with ideas for building partnerships across campus and connecting students to resources on campus and within the larger community. Participants will have the opportunity to learn from the challenges others have faced and problem-solve the obstacles they encounter.